I had half a jar of cranberry relish leftover from the holidays and two salmon steaks in the fridge. A quick search provided this recipe from Epicurious and 20 minutes later, a delicious dinner. 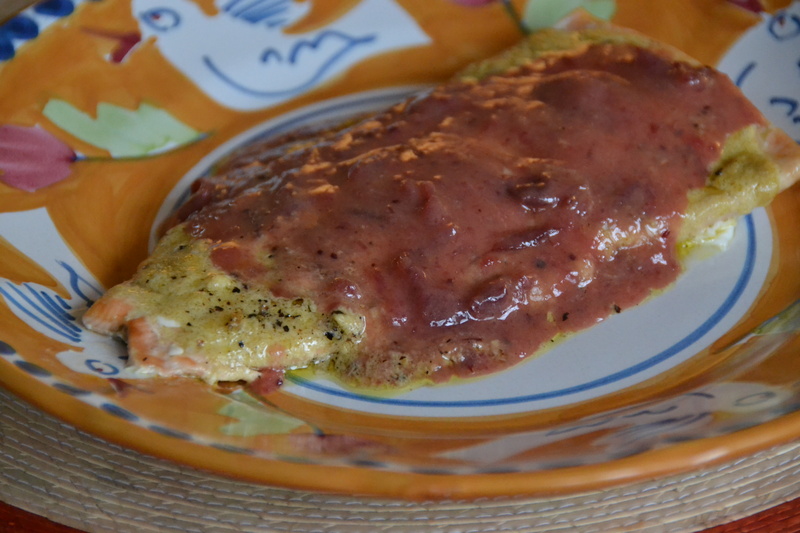 The vinegar cuts the sweetness of the cranberries and the dijon mustard gives the salmon with a great flavor.